Get your free word count tracker for 2019! Sign up for my newsletter to get free stuff, inspiration, and tips to keep your chin up! OMG, I have the best, most unique idea! I’m going to write a summative blog post on the eve of the new year!!! THIS IS A TOTALLY NEW CONCEPT! WHERE IS MY FAME AND FORTUNE? So, it isn’t original, but as we’re all the main characters in our own stories, why not write a wrap up for our own enjoyment. As this is my “writing” blog, I’ll start with some highlights of my writing journey thus far. I began this writing blog in March (my first post is >>here<<) and in the time since then, I’ve managed just under 10k page views, and ~150 subscribers + followers. This is very humbling and awesome seeing as I have no idea what I’m doing. I survived the query trenches and signed with the unfathomably brilliant Jessica Sinsheimer. I am forever grateful to every single person who read (and RAKED over hot coals) my manuscript, helping me attain this huge milestone. I am overwhelmed by the support I’ve recieved. I submitted my work to 4 contests + 2 twitter pitch contests, and was selected or recieved reqs from 3 of those. But more importantly, I met incredible CPs and friends who know what it feels like to be cuckoo birds. Other than my AGENTED post, the most popular post on this blog, BY FAR, was “Fan Their Flame.” This post means so much to me, and it outlines my hope for artists and people everywhere: let us build each other up, and not belittle others’ talents to highlight our own. The most interesting search term that lead to my blog was “there’s a fine line between bold and crazy.” THIS MIGHT AS WELL BE MY FREAKING LIFE MOTTO. Outside the world of writing, there were lots of happy happenings. Hubs and I performed for the first time as our band, Wedding Day Rain, and won first place in that talent show! We’re currently writing and recording our first album WHICH IS SUPER HARD. I had the pleasure of performing as Lucy in the community theatre regional premier of AVENUE Q in my town. That was a ridiculously good time. Then, late in the fall, I performed in my first devised theatre piece with the fabulous team at Sundown Collaborative Theatre. I realized how ridiculously awesome John Green is. I went on a fabulous adventure with my friend Ashley and we fangirled like crazy and basically just walked around in a TFIOS haze with a bunch of like minded nerdfighters. My beloved and I went on a fantastic California adventure, and explored the northern coast. We saw massive redwoods, coves, and even ventured into San Francisco for a day as well. In less happy news, 2012 wasn’t full of all awesomeness. The realities of sitting on your tush and writing for hours every day and avoiding workouts like a plague means that I put on *censored for my loves who are triggered by others’ body numbers* pounds this year. Ouch. The happy weight that I maintained for 3 years collapsed under the effects of so much writing fueled binges on wine and M&Ms. I also have tried with varying levels of success to be a brave advocate for myself and other women with the very under-researched disease ENDOMETRIOSIS. While I spent this year progressing, I didn’t have the FOCUS that I usually do. I was a bit rambly which isn’t my style. To help that listless feeling, I’m setting off on a quest to accomplish 30 goals in the next 10 or so months until my 30th birthday! These goals are happening in lieu of NYE resolutions, and I’m really excited to tackle them. To check out my list and help me come up with the last few, check this page here. Have a fabulous 2013, my loves! Holy crap balls, readers! one of my favorite people in this UNIVERSE is right here answering my questions and being generally FABULOUS. I’m not so excited to share her ’cause she is mine responses with you! Jessica Love is, honestly, the reason I decided to try writing a book. She made everything look so effortless and meaningful, which really inspired me–and continues to do so! You can find Jessica at her blog HERE and follow her on twitter HERE! Can you tell us an abbreviated version of your agented story? I won a query critique from my agent and I sent off my query, not even considering she would do more than just give a crit. She ended up wanting to see a full, and my full wasn’t even done. Smooth move, Jess. I took six months to finish revising the book, and, luckily, she was still interested! How many manuscripts have you started/completed? The one that got me my agent was the very first one I finished! The one I’m working on now is my second! I completed NaNoWriMo in 2011, but that book was never done. And I have a few random beginnings of ideas that never panned out. When did you fall in love with words? I’ve been a voracious reader since I first learned to read. And I’ve been writing in one way or another (pen pals, blogging, whatever) for just as long. Words have always been a powerful force in my life. Who’s the one character from a book that you wish was real and in your life? ONE? Well that’s just impossible. My first love is Dexter from This Lullaby by Sarah Dessen…but I also love Remy, too. So I’ll just say both of them. We can all hang out. What is your favorite hot beverage? I’m a coffee addict. I love me a good flavored latte, but plain coffee is good, too. You have written about “whitewashing” in YA before. Since you last wrote about it, do you feel things have stayed the same or changed one way or another? I have so many feelings on this issue, from whitewashing of YA covers to the lack of diversity in YA books. I feel like the more we talk about it, the more progress will be made in getting all types of teens represented on and in YA books. How did you meet your critque partners? Oh, various ways. Mostly I stalk them down and beg them for their help. But, really, I met most of them at local SCBWI events. SCBWI is such a great opportunity to meet people who are in your area! What is one specific writing ritual you have? MUSIC. I need music to write. I have a playlist of music for this book that evokes the feelings I’m going for when I write, but I also find that I work well with the same album or even the same song on repeat. I need the music to set the mood, but I can’t let myself get too distracted by the lyrics. Sure! It’s about a girl who road-trips to surprise her online best friend and finds out he’s been keeping some secrets from her. Sort of a romantic comedy version of the show/documentary Catfish. When you’re done basking in her awesome, leave her a comment below! You know you wanted to. So, this morning, while hubbins was getting ready for work (he leaves much earlier than I do) I wrote the first chapter of my new project. I’ve been brainstorming and outlining for a little bit, but there’s something special about writing those first words that really feels like it’s starting. I can’t wait to tell you guys more about the story, but I’m keeping my lips zipped until I have more on the page. The prospecting of drafting another book (!!!) is daunting, but it also feels kinda awesome. Like there is so much possibility laying out before me. I’m learning that my first novel came out super easy. I knew exactly what book I wanted to write, how I wanted it to sound, where every part of the plot was going. My awesome, incredible friend Megan Whitmer made a big announcement last night! Join me in celebrating her BOOK DEAL! And pop over to twitter to shower her with more love! Congratulations Megan, and her awesome team over at Spencer Hill! Sarah Guillory has RECLAIMED my heart! I know you may have seen it already, but that makes me no less excited to share it here for you again. Sarah Guillory, fabulous fellow teacher and writer has a book coming out from Spencer Hill Contemporary super soon and her book cover is gorgeous. I’m so happy to feature it here and to help spread the word about her book. Be sure to add it to your goodreads shelves! 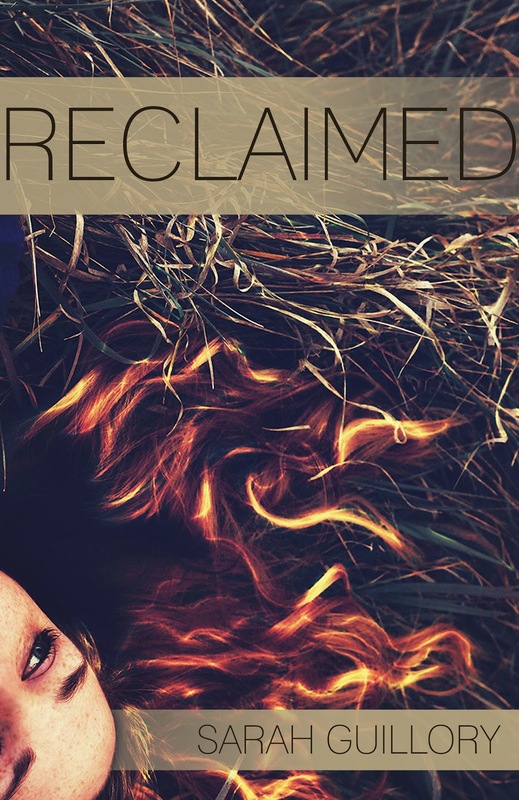 Here’s the scoop about Sarah Guillory’s RECLAIMED! Jenna Oliver doesn’t have time to get involved with one boy, let alone two. All Jenna wants is to escape her evaporating small town and her alcoholic mother. She’s determined she’ll go to college and find a life that is wholly hers—one that isn’t tainted by her family’s past. But when the McAlister twins move to town and Jenna gets involved with both of them, she learns the life she planned may not be the one she gets. Ian McAlister doesn’t want to start over; he wants to remember. Ian can’t recall a single thing from the last three months—and he seems to be losing more memories every day. His family knows the truth, but no one will tell him what really happened before he lost his memory. When he meets Jenna, Ian believes that he can be normal again because she makes not remembering something he can handle. The secret Ian can’t remember is the one Luke McAlister can’t forget. Luke has always lived in the shadow of his twin brother until Jenna stumbles into his life. She sees past who he’s supposed to be, and her kiss brings back the spark that life stole. Even though Luke feels like his brother deserves her more, Luke can’t resist Jenna—which is the trigger that makes Ian’s memory return. Jenna, Ian & Luke are about to learn there are only so many secrets you can keep before the truth comes to reclaim you. Let it wash over you like the sun or the rain or the wind. our way through life when the world around us is often disapointing and lonely. And the desperate need to have it heard. So, now that you’re done basking. Because life is so much more beautiful than burdensome. Don’t waste your good fortune on fear or doubt. Your art is for you. But it isn’t ONLY for you. It is also for me. Welcome to KelseyMacke.com. I write YA novels, make youtube videos that help encourage new writers, and speak to groups of all ages all over the world! I live to share stories that prove none of us are ever alone. It's like a cupcake for your inbox.